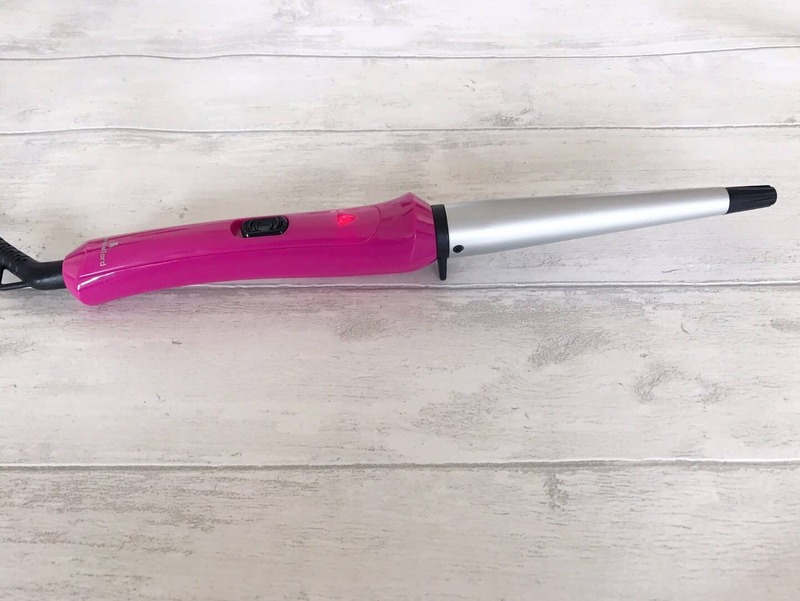 I reviewed some great hair straighteners a few months back, which do curl as well as straighten. But I never really got the hang of curling so just use them to straighten my hair. 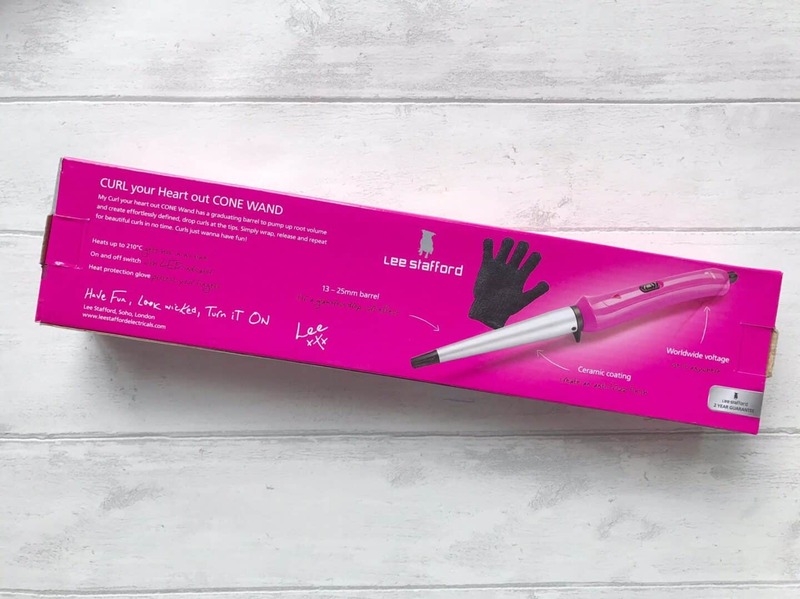 But now I have a Lee Starfford Curl Your Heart Out Cone Curling Wand (RRP £30 but currently selling for £20)* I think I may have finally found a way to curl my stubbornly straight hair! 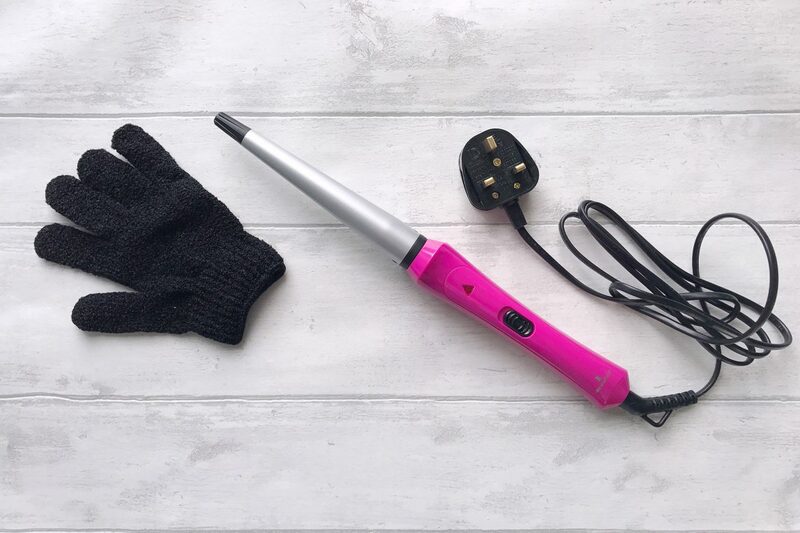 This lightweight curling wand has a 3m swivel cord, and a simple on off switch with a red light to show it’s on. It heats up quickly, hitting 200C in around a minute. This curling wand even comes with a heat-resistant glove, which is great for me as I always burn myself. I’ll be using it with my straighteners too! The Lee Stafford Curl Your Heart Out Cone Curling Wand looks great, being my favourite colour: pink. It has an integrated stand, so it won’t burn your dressing table, plus it has a stay-cool tip. 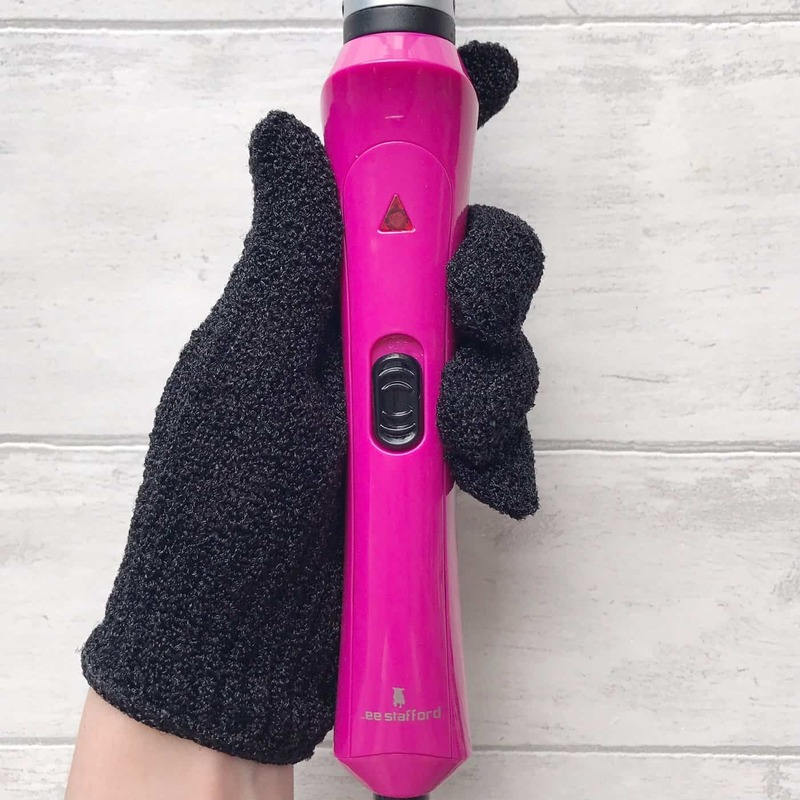 Instead of clamping the hair, like you do with traditional hair tongs, you just wind it round the tapered tourmaline ceramic barrel and hold it – thanks to the heat-resistant glove, you can do this without burning your fingers! I found my hair did get a bit caught on the stand, so I just make sure I position it slightly further down the barrel to stop this happening. 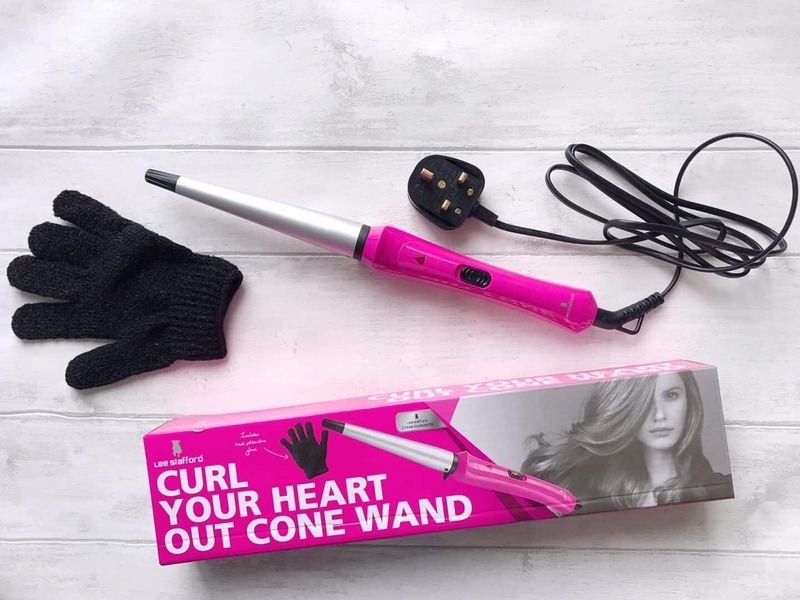 The Curl Your Heart Out Cone Curling Wand comes with a 60 day no-questions-asked money back guarantee if you don’t love it, plus a 2 year guarantee for added peace of mind. Lee Stafford says you can use the curling wand to make tight ringlets, large curls and beachy waves. To be honest, whatever way I use them, the curl looks the same. But I have zero styling skills, so don’t let that put you off! I need more practice. If you want to try this curler, you can get yourself a pair on Amazon for £20*.